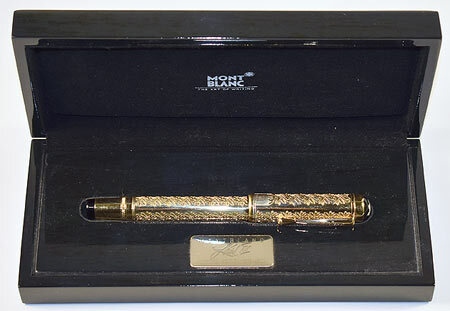 12670: Montblanc Pix 36 injector pencil: black with gold plated trim, 13.2 cm long, uses 1.1 mm lead. 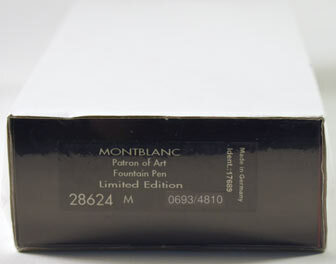 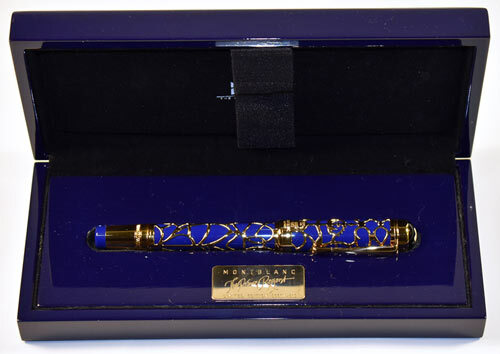 13888: Montblanc 24 demonstrator: transparent dealer-only version, piston-filler, gold plated trim, semi-hooded nib, 13.6 cm long. 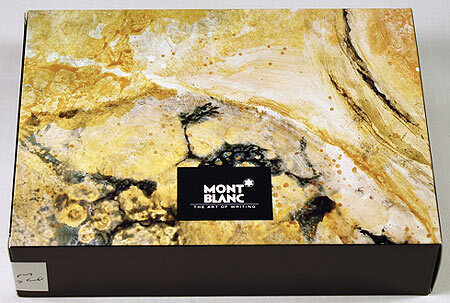 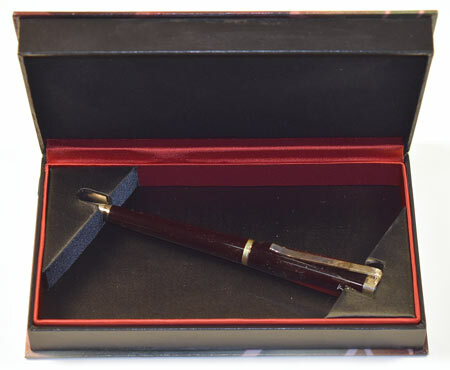 13896: Montblanc 166 document marker: oversize, black with gold plated trim, 14.5 cm long. 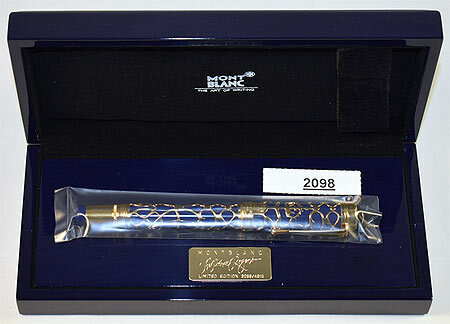 13910: Montblanc Meisterstuck: small slip-cap cartridge-filler, gold plated trim, 13.4 cm long, single-tone 14K gold nib, rare transparent dealer's model, not intended for public sale.